You can easily support this production by selecting a support amount and clicking on the PayPal Pay Now button to the right or below, or going directly to the GoFundMe page. You'll get access to exclusive, behind-the-scenes material, plus your name in the film credits as a supporter. You can also mail a check made payable to Rook Communications, P.O. Box 571, Manassas, VA 20108. Funds will cover travel costs, production, music licensing, editing, and more. It takes a lot of effort to make a quality film, and so we are very thankful for your generous help. You can view the film's trailer here. 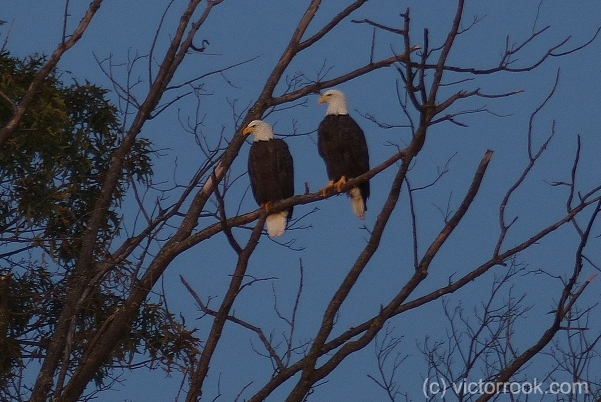 Also, if you would like to submit photos or videos of eagles that you've taken, click on Submissions.